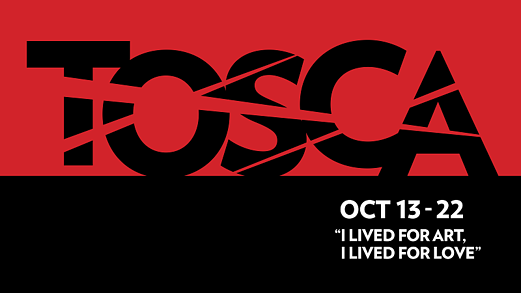 As we count down the days until BLO's opening night of Puccini's Tosca, we want to take a minute to highlight the complicated, deceitful and ultimately deadly relationship between Scarpia and Tosca. When they first meet during Act I, Scarpia seizes the opportunity to drive a wedge between Tosca and her beloved Cavardossi, manipulating the facts to make her believe Cavaradossi has been unfaithful. Throughout the scene, we see Scarpia balancing the façade of a kindly, benevolent gentleman, offering comfort to Tosca, while cunningly destabilizing Tosca’s reality in order to make her vulnerable to his advances. As she departs, his true intentions to take Tosca for himself become clear. Throughout the years, there have been many compelling actors in these roles bringing passion and nuance to the drama. Below are some of our favorite renditions of Tosca and Scarpia’s Act I chilling interchange. **Bonus! This movie was shot on location in Rome, as close to the locations referenced as possible. Tosca and Scarpia’s relationship takes an even darker turn in Act II, as Scarpia forces Tosca to observe Cavaradossi’s torture, ultimately promising to spare Cavaradossi if she would give herself Scarpia. Unwilling to be cornered, Tosca devises a plan and gets her revenge. Check out some of the links below for some of the most epic final Tosca- Scarpia showdowns we’ve seen… so far. "Questo è il bacio di Tosca!” INDEED.